Temporary pay cuts and staff reductions led to a $13.16 percent drop in payroll to $86.8 million, a level not seen since 2013, the town's data show. 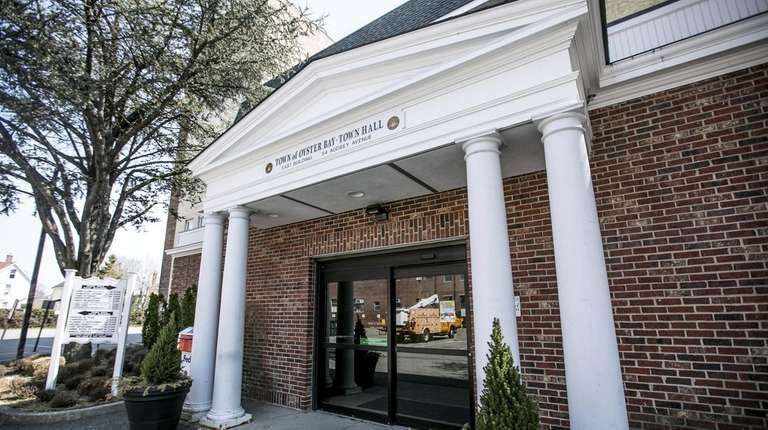 Oyster Bay’s town payroll costs fell sharply in 2017 because of a temporary pay cut and reductions in staff compared to the previous year, a Newsday analysis of town records shows. The number of full-time staff, including elected and appointed officials, fell by 90 employees to 1,081, a 7.6 percent decrease from the previous year, according to town payroll data. Payroll costs went down to $86,768,603 in 2017 compared with $99,916,753 the previous year, a 13.16 percent drop and a level not seen since 2013, records show. Overtime costs went in the opposite direction last year, reaching their highest amount since 2012 at $5,622,661 with a 10.78 percent increase from $5,075,550 in 2016. The reduction in payroll costs is partly due to a union concession in a contract approved on Jan. 4, 2017, in which employees agreed to a 2 percent salary cut for two years. The town also cut costs by reducing staff through retirement incentives in 2016 and 2017 and a partial hiring freeze. The 2017 budget assumed salary reductions of $17 million, according to town financial documents. Although the temporary salary cut was originally to run through 2018, the town board approved raises in the first quarter of 2018 for more than 100 employees totaling more than $840,000. The board also approved restoring the salaries for everyone else six months earlier than scheduled. The highest pay in 2017 to a town employee who did not retire was Vincent Ciccolella, a storeyard supervisor in the parks department who was paid $151,787 which included $45,151 in overtime. Ciccolella’s overtime pay was the highest in the town that year, records show. Frank Nocerino, who served as town parks commissioner for years but changed jobs in March, retired in May and was indicted on state corruption charges by Nassau County District Attorney Madeline Singas in June. Nocerino was paid $160,494 in 2017, the data show. Another employee indicted last year on corruption charges by Singas, Salvatore Cecere, continued to work for the town as a highway maintenance supervisor. He was paid $99,419, which included $5,915 in overtime. The town suspended Cecere for 30 days without pay, town spokesman Brian Nevin said in an email. “State and Federal laws prevent the town from dispensing further discipline pending the outcome of the District Attorney’s charges,” Nevin wrote. The highest-salaried town employee last year was $163,000 for Nevin, who left former Nassau County Executive Ed Mangano’s administration midyear to become the town’s spokesman. Town Attorney Joseph Nocella had the second-highest salary at $161,700, an increase over the $148,361 paid to his predecessor Leonard Genova, who resigned in January 2017. Town Supervisor Joseph Saladino, who was appointed on Jan. 31, 2017 to replace John Venditto, had a salary of $137,200, records show. Sanitation and recycling workers accounted for the majority of 2017 overtime pay with $3,452,981 — 61 percent of the town’s total. In 2018 the union and town board approved a contract amendment to allow the town to hire part-time sanitation workers.